These twin-screw, co-rotating extruders have a strong and versatile design in order to adjust to, and process multiple variations of mass. The intermeshing screws are self-wiping, making them easy to clean. 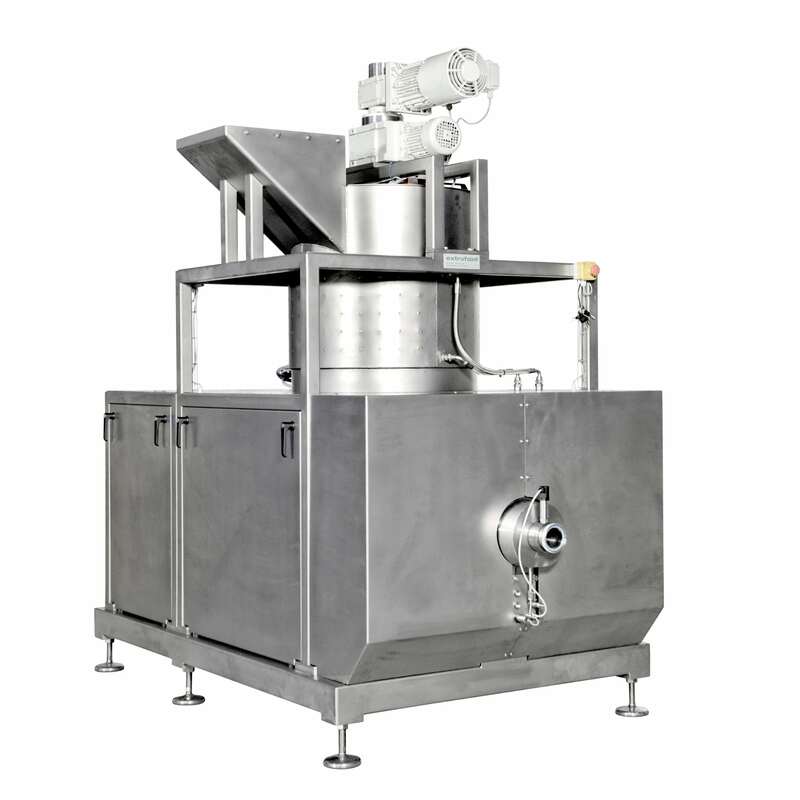 The infeed section has the option to be fitted with a twin-screw, counter-rotating design, offering a stable, de-areated infeed which results in a constant mass flow from the extruder. If the product mass is still mixable, we can supply a Diemix®. This mixes the mass with color and flavor right after the forming extruder, prior to the die. We can supply a twin-forming extruder which basically consists of two extruders on the same frame. These then feed into a common forming die in order to produce any two-colored product.